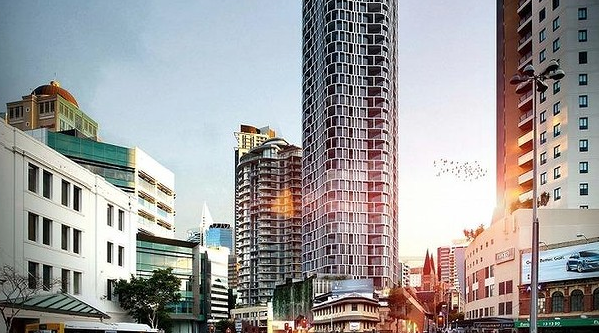 After it failed to sell the land, Consolidated Properties has announced that it will be developing a 39 level tower at 550 Queen Street, called Spire. It will have 340 apartments, which appear to be small one and two bed apartments. Previously, an office building was planned for the site. See SMH.